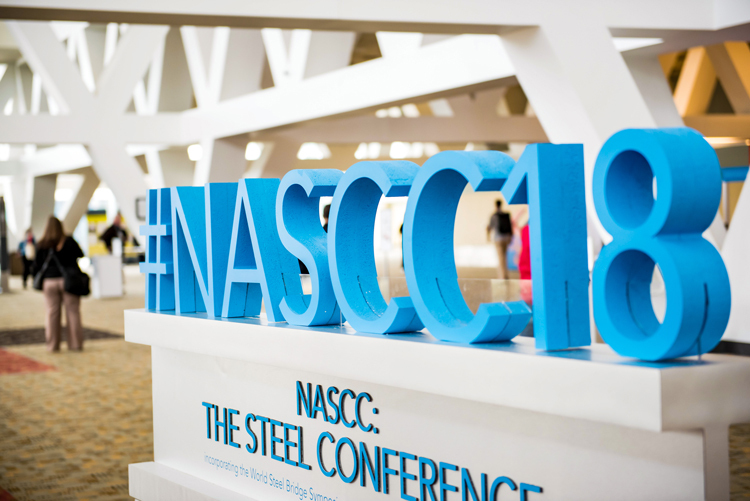 Chicago — If you missed sessions from the 2018 NASCC: The Steel Conference in Baltimore (or you want to rewatch your favorites), you can catch up online. More than 130 session recordings from this year’s conference, which include a synchronization of the speakers’ voices along with their visual presentations, are now available for free online viewing at www.aisc.org/2018nascconline. AISC makes much of its conference material available at no charge as part of its mission to disseminate information for building and designing with structural steel. “We strongly believe that providing free access to high-quality educational material benefits everyone in the industry,” said Scott Melnick, senior vice president at AISC. You can search for conference proceedings from the past 10 years at www.aisc.org/educationarchives. The site also contains a collection of recorded webinars and articles that can be accessed at any time. This year’s Steel Conference attracted a record attendance of 5,175. Next year’s conference will take place in St. Louis, April 3-5, 2019. For more information, visit www.aisc.org/nascc.